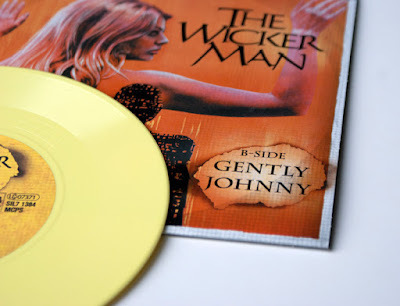 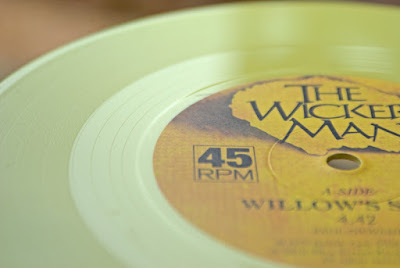 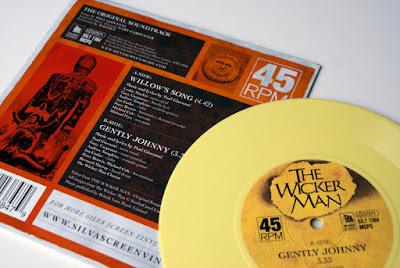 Photos of newly produced artwork for a special edition yellow 7" vinyl of two tracks from the original soundtrack of 1973 film 'The Wicker Man' (Side A: Willow's Song / Side B: Gently Johnny). 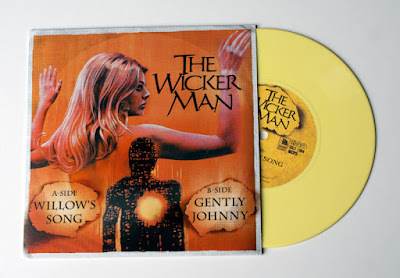 Using original imagery from the film and creating a layout that reflected vintage vinyl sleeve culture, I went to work on subtly making the sleeve design look worn and fire-damaged, as though the artefact itself was a survivor of the burning of the wicker man. 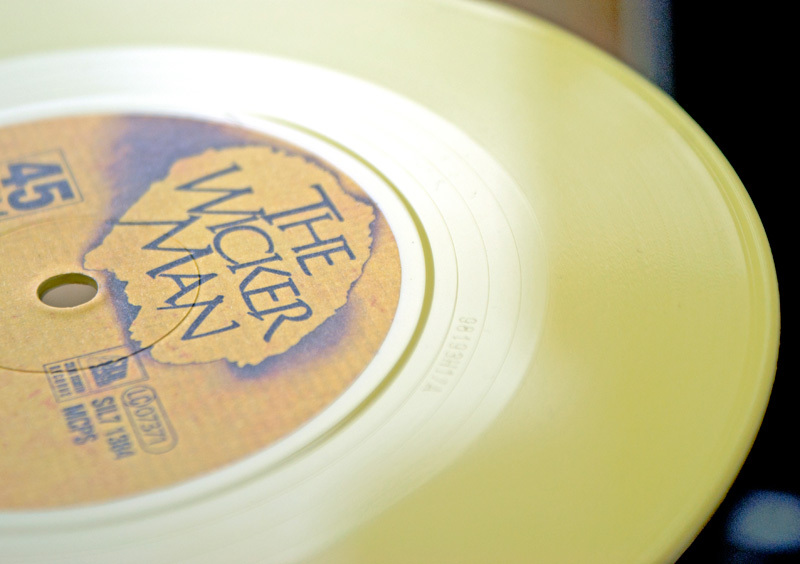 The final payoff being the unusual yellow coloured vinyl, giving the package a beautifully psychedelic vibe.